VIEWS! VIEWS! VIEWS!!! This 3 bedroom home is ready for you to move in!! This 7.75 acre FARMETTE is ready for horses, cattle, etc. Large run-in shed with tack room and fenced fields. Large yard with mature trees. Sun porch & front porch with great views! Full time or weekend get away, this property has great potential!!! Building in back yard does NOT convey and Wood Stove does NOT convey. Farm Remarks: VIEWS! VIEWS! VIEWS!!! This 3 bedroom home is ready for you to move in!! 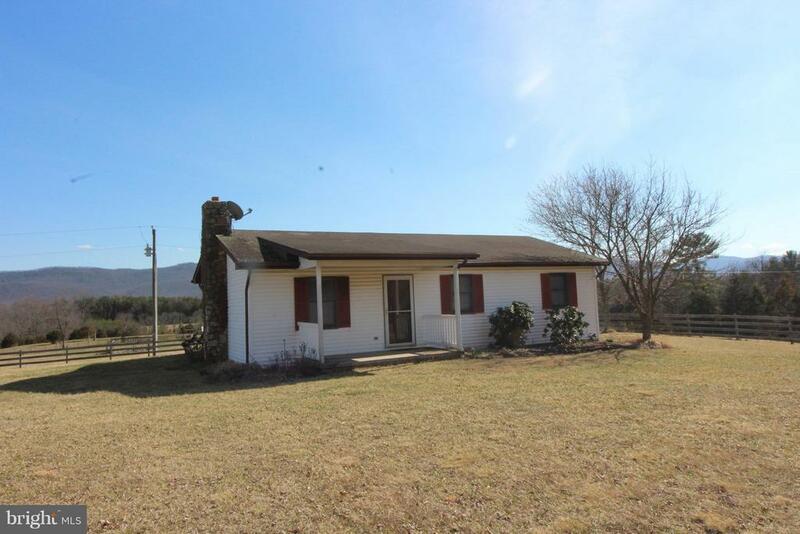 This 7.75 acre FARMETTE is ready for horses, cattle, etc. Large run-in shed with tack room and fenced fields. Large yard with mature trees. Sun porch & front porch with great views! Full time or weekend get away, this property has great potential!!! Building in back yard does NOT convey and Wood Stove does NOT convey.